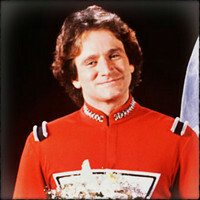 Home » Copywriting » Mourning Robin Williams on Social Media — Is it Personal? Williams had been outspoken about his depression, as well as his past issues with addiction. When the news hit social media channels today, it was first by those who were shocked or saddened by his death, posting links, pics, and RIPs. Some, seizing the opportunity that the spotlight both his life and death afforded, came forward to talk about depression, to share their own experiences, to offer help to those that might also be struggling, and to raise awareness. Soon, there were those admonishing Williams for his selfishness in committing suicide (which at this point is merely alleged), there were those admonishing President Obama for acknowledging the loss of Williams, and there were those wagging their fingers at any and all of us who choose to discuss Williams’ passing — who deign to mourn a celebrity we never knew personally. Some people say that to stop to recognize the passing of celebrity, diminishes the deaths and lives of every one of us — for fame, fortune, and talent do not make one life any greater than another. While I agree that money and fame or talent don’t make a life greater or lesser — I do not agree that it’s wrong or diminishing to stop and take a moment for the loss of a life that touched our own. I think everyone has their own way with grief and none of us has a right to tell anyone else how or who to grieve. To those grieving the loss of someone famous, it is not their general fame or talent that is being mourned, whether we knew them face-to-face in this life matters not — especially if their life or their work reached and touched us somehow. As with all loss, what we grieve is our own end, not someone or something else’s but our own relationship with that end. Once someone is gone, there is nothing more for them to worry about. We cry, we rail, we post a link or a RIP, for ourselves, for our loss, for what once was and what we will miss. In the case of Robin Williams (and probably most well-known people that pass and are widely mourned), his loss IS personal –for all of us. Not because of his fame but because his fame allowed him a greater reach — the ability to touch so many more lives. We will miss the joy and laughter he gave us through his work in film and television. Some will miss his charitable works, from which they benefitted directly. Others, like the many comedians and friends who tweeted their shock and grief today, they will miss his friendship, his insights, his kindness and advice. Is it Wrong to Mourn Celebrity Loss? To me, the passing of a life, doesn’t have to be a greater than, less than game. I suspect for most people it is not — no matter who it is. Just because you grieve the passing of someone well-known to the world but unknown to you in real life, personally, doesn’t change how you mourn the lives of those closest to you. I truly don’t believe there are people walking around in this world categorizing their losses in descending order of importance. But, in terms of a celebrity passing, I’m quite certain that those expressing feelings of loss are not placing a heavier weight on those feelings than say the very personal loss of their grandma or best friend. We’re all just people grappling to come to terms with loss and mortality. If we take the time to recognize or grieve a loss, it is a personal loss that we feel and though it may not be one you share, it is still one that is genuinely being felt, nonetheless. All of this discussion happened in less than 24 hours after his death and before any of us know the full story of the circumstances surrounding that death. What we do know though, is that a man who made us all laugh for many years, died today. For me – that is enough — RIP Robin Williams. ← How Dare James Franco be a Poet?